Apple is one of the world leaders in technology. Millions of people use Apple devices all over the world, as they are some of the best products available. However, even Apple isn’t without their faults. Some of the Apple devices such as iPhones and iPads have had a few problems, but none too serious that they are unfixable. Some Apple users have recently reported having problems when trying to start up their device. They have said that when the iPad or iPhone is connected to a power source, the iOS device will not start up at all. According to the users, when the device is plugged into a power outlet and they attempt to start it up, the Apple logo appears for a few seconds, then disappears, leaving a blank screen. The blank screen stays up for just a couple of seconds and then the Apple logo appears again flashing incessantly, but never actually starting up the device. It is just on an Apple logo loop. 1. The first thing to try is forcing your device to start up. Connect your device to the charger and leave it for at least 15 minutes. Press and hold the power button and volume down button at the same time until you see the Apple logo. Ignore the ‘Slide to Power Off’ screen if you see it. Press and hold the power button and home button down at the same time. Turn off your Apple iOS device. Connect your device to the computer using a USB cable. Next, open iTunes on your computer. 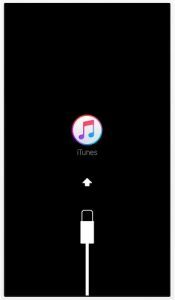 Press and hold the power button and volume down button at the same time until you see a screen that says ‘Connect to iTunes’ or ‘Recovery Mode’. Press and hold the power button and the home button at the same time until you see the ‘Recovery Mode’ screen. After you have done this you will see a message on iTunes saying that it has detected an iPhone or an iPad in recovery mode and you will see two options: Restore or Update. You will choose Update and your problem should be fixed. 3. If the problem still isn’t fixed after attempting these solutions, you will need to contact Apple support and they should be able to fix the problem for you. While technology is rapidly growing and changing every single day, it is not always going to be perfect. There will always be some glitches or flaws in electronic devices, unfortunately. However, the best part about the fact that it is always growing and changing is that it is also always improving. Companies are working towards bettering and even perfecting their products in order to satisfy their consumers. Even the best companies will have problems with their devices at some point. However, they will also do their best to come up with quick and easy solutions. We hope that by following these simple instructions you are able to solve this problem and continue using and enjoying your Apple device. Do you have to be signed into the same iTunes account as the iPhone is? I have an old iPhone 5 and the home button doesn’t work, is there any way to still fix this problem? What if you don’t have an iTunes account?